On the December 20, 2018 edition of Hidden Headlines, (click here for a direct link) I interview Rabbi Charlie Cohen, the Congregation Leader of Congregation Tsemach Adonai, a fellowship of Jewish people who follow Messiah Yeshua (Jesus Christ). 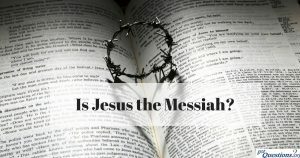 In this engaging exchange, Rabbi Cohen presents us with several of the key Messianic prophecies found in the Jewish Tenakh (Old Testament) and how they were literally fulfilled in the life of Yeshua. I urge you to share this post and the podcast with skeptics, Jewish friends and relatives, or with a believer who wants to deepen their faith.